Parking fees are NOT the most important part of parking policy! But in busy areas they are essential. They can achieve one of the three key goals of on-street parking management, which is the unglamorous but crucial foundation for parking policy success. And it really matters how we set the parking fees. So this post highlights all the cities around the world that set city parking rates in a demand-based way using an occupancy target. Or at least here are all the cases I could find that are explicit about what they are doing. Many more may do something like this but behind the scenes. Please have a skim through. Look at cities that catch your eye. Then bookmark the post for future reference when you need examples to point to. Do tell me if you spot any errors. And share the post with anyone you think would benefit. Central Seattle has demand-based parking rate setting with prices that vary depending on the zone and the time of the day. That there are so many examples. This approach to setting parking fees is not (yet) the standard method but it is clearly spreading. How little controversy most cities have faced with this. When I searched for news items on each city, most had a flurry of reporting at first but then the issue usually vanishes from the news. Apparently, it quickly becomes the new normal and just quietly works without fanfare. Do you need an explanation of demand-responsive parking price setting? Skip this section if you already know all about this approach. What is the right price for parking? For on-street parking, the best answer is the LOWEST price that does the trick of keeping a few spaces open. This lowest price will vary from place to place and time to time. With some spaces open, newcomers don't need to search or wait. They will have no excuse for double parking or for parking illegally or for complaining of a shortage. This approach to setting parking prices is not a panacea. But it is an important part of a wider set of parking policy changes that can help your city. if the parking is neither too full nor too empty (it is in the 'Goldilocks' occupancy sweet-spot) then leave the price as it is. "Too full" usually means more than 85 or 90%. "Too empty" is usually taken to mean less than 60 or 70% occupancy. 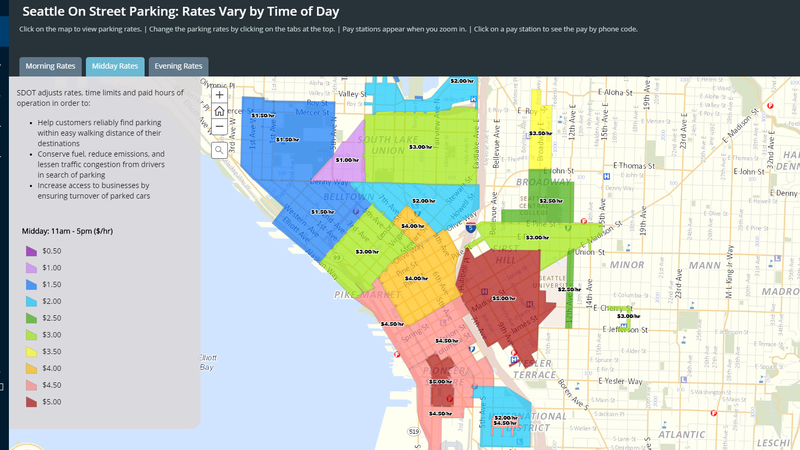 Some cities take the occupancy-targeting approach a step further and use time-of-day pricing. This means dividing the day into several periods and aiming to hit the occupancy sweet spot within each period, rather than on average for the whole day. So each zone tends to get different prices for each of the time periods. This is usually NOT real-time dynamic pricing or 'surge pricing' like Uber's. In most cases below, the price adjustments happen occasionally, such as every few months or once per year. Donald Shoup calls this price the Goldilocks price: neither too low nor too high but just right. You can read a lively and persuasive explanation by Donald Shoup himself on pages 21 to 40 of the Introduction to his new edited book, "Parking and the City". The Introduction is available as a free PREVIEW PDF. Here below are all the cities I could find that set some (or all) city parking prices in a demand-based way using some kind of occupancy target. I have ordered the cities roughly according to municipal population. Help me improve this! Can you fill any of the gaps? Do you know of other municipalities that do this? Have I made any mistakes? Have things changed? UPDATES: 1. the information on Vancouver has been fixed. Now both Vancouver, Canada and Vancouver, WA, USA are included. 2. Portland, Oregon, USA has been added to the Cities to Watch list at the bottom. It has a proposal on the table (vote date unknown). is voting on a relevant proposal on 11 June (after which I may need to move it to the main list). 3. Victoria, BC, Canada has also been added. 4. Removing Adelaide from the watch list for now. They have cold feet I hear. 5. Adding a mention of the Boston region's Massachusetts Bay Transportation Authority (MBTA) and the price setting for its park-and-ride lots. 6. I should soon add Milwaukee apparently. Metered parking in the Petrovska St area, Moscow. There is demand-responsive price setting apparently, although the parking occupancy here was too high when this image was taken! Name of the initiative (if any): ? How often are price reviews? ? Is each specific adjustment a data-driven depoliticized administrative matter? ? Did parking time limits (if any) change? ? Applies to which parking? On-street parking. Started with 568 spaces along 21 pilot streets in the central area inside Boulevard Ring (Petrovka Street, Karetny Ryad and neighbouring streets). Then extended in the next phase to 4000 paid parking spaces as of October 2013. Since when? Initial pilot from Nov. 2012 was of on-street pricing, not of occupancy-targeted price setting. At some point between Oct 2013 and Oct 2015 different prices for different zones were introduced, with the prices set based on occupancy. Reported impacts/results: By the end of the pilot period: much more orderly parking; Illegal parking down by 64%; Parking durations dropped to 1.5 hours on average compared with 4.5 before; traffic flow on affected streets had improved by 6%-9% . Key Sources: Report by consultants NOW! Innovations (pdf); Relevant news or blog items here, here and here. 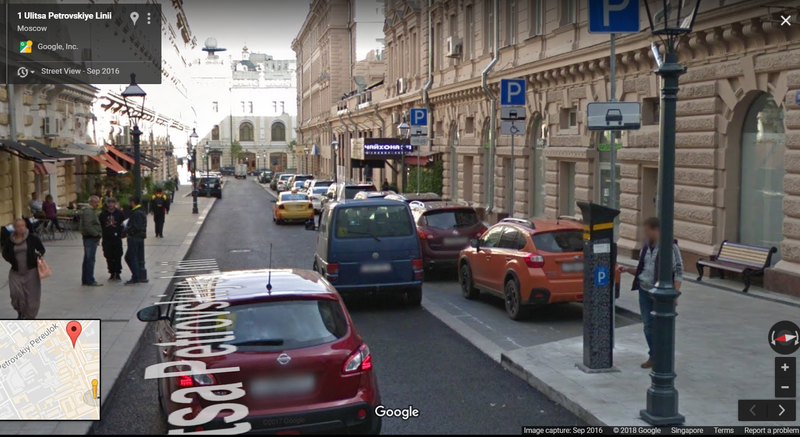 Other comments: Prior to November 2012 there were no on-street parking fees and little enforcement in Moscow. There was extremely chaotic on-street parking that harmed pedestrians and traffic and bus movement. The occupancy-based price setting has been accompanied by improved enforcement, parking sensors and a residential parking permit system for the first time. There has also been some off-street parking investment but this has been very limited inside 3rd Ring Rd. Explicit use of an occupancy target range? I think so. Is each specific adjustment a data-driven depoliticized administrative matter? Probably not. The relevant reports discuss price adjustments based on occupancy but do not mention any clear or simple criterion to trigger price adjustments. Use of revenue surplus? ? Since when? The first 6 month trial (in Greenwich Village) began in October 2008 and was made permanent in 2009. The Park Slope pilot began in May 2009 and was expanded and made permanent in 2010. A pilot in Jackson Heights began in Spring 2013. A pilot on Atlantic Avenue and Smith and Court Streets in Brooklyn also started in 2013. Key Sources: Explanations of the pilots and evaluations are available via the Park Smart page. Other comments: It would be useful to analyze what went wrong here. New York City's Park Smart program carried out trials in 2008, 2009 and 2013-14. Some were made permanent but further expansion has stalled. A pilot on the Upper East Side was aborted after opposition from the local community board. This seems to be an unusual case of real time occupancy having an impact on prices. Explicit use of an occupancy target range? yes I think so. Time-of-day price variations? The occupancy-based variation in prices seems to be in real time! Applies to which parking? Dentro de la Almendra Central. 1.600 spaces. Key Sources: Madrid city portal (in Spanish); a 2016 presentation (pdf); a detailed article on Mashable. Other comments: An intriguing case that only partially fits the demand-based bill and unusual for the apparent real-time variations. Using a pay-by-plate approach and newly-installed smart meters, the city applies variable prices to on-street parking in its core. The price may be adjusted up or down by up to 20% depending on both the occupancy of the parking in the street and on the vehicle type (and its environmental rating). Time-of-day price variations? Yes. 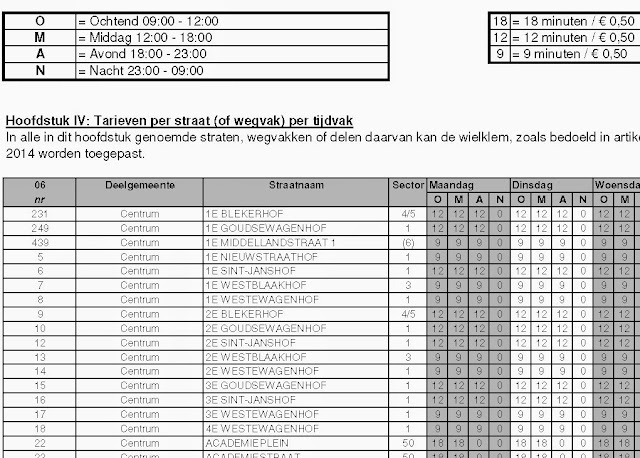 Three weekday periods (before 11 am, 11 am to 4 pm, after 4 pm) and Saturday all hours. Use of revenue surplus? No clear promise? Applies to which parking? 'A 4.5-square-mile area in downtown bounded by the 10 and 110 freeways, Alameda Street and Adams Boulevard'. Later expanded into Westwood Village and Hollywood. Reported impacts/results: Program website says still being evaluated. How often are price reviews? Every 3, 6 or 12 months depending on location. Time-of-day price variations? Peak and off-peak prices are possible. Is each specific adjustment a data-driven depoliticized administrative matter? Yes according to the strategy. However, in 2014 there seems to have been a hiccup when Auckland Transport proposed a NZ$1 increase across a wide area, apparently ignoring the demand-based system and provoked complaints, including from supporters of the performance pricing approach. So I would like more confirmation that rate adjustments really are depoliticized and according to data. Did parking time limits (if any) change? Yes. Removed. Applies to which parking? Initially just the City Centre Parking Zone (CCPZ). Since 2014, this approach is potentially applied anywhere in Auckland if conditions warrant it. The parking strategy lays out detailed guidance on what conditions would warrant such a step. Part of Calgary's on-street parking occupancy and prices map. Name of the initiative (if any): Calgary's demand-based parking. Occupancy range targeted: 50% to 80% in each of 27 pricing zones. How often are price reviews? Annual. Time-of-day price variations? yes. Four pricing periods on weekdays. Is each specific adjustment a data-driven depoliticized administrative matter? yes apparently. Uses ParkPlus data. Rates adjusted by a maximum of $0.25 per year according to demand. Did parking time limits (if any) change? I think so but some time limits still apply. Applies to which parking? 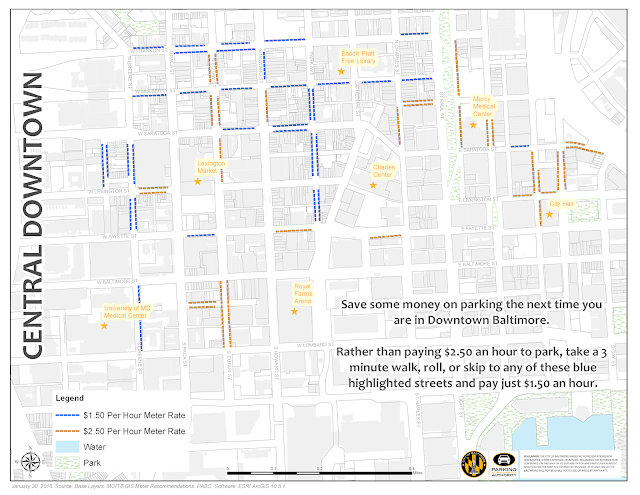 All of the city's on-street paid parking. Name of the initiative (if any): "vraagafhankelijke tarieven"
Is each specific adjustment a data-driven depoliticized administrative matter? I think so. Applies to which parking? All on-street paid parking. Key Sources: see comments below. Comment: Rotterdam was an EARLY ADOPTER of demand-based parking pricing! But I was pointed to a suggestion (in this Dutch parking magazine, page 15 side-box) that the city moved away from this approach in 2012. But city documents don't seem to reflect this, still referring in 2014 to the 1999 decision in their announcements of price reviews. And the price differentiation seems to still be in place. An excerpt from Rotterdam's parking price list. The prices seem to vary on quite a fine scale. Rotterdam expresses its parking prices in an unusual way, in terms of minutes per 50 Euro cents. So the most expensive zones have a price 9 minutes per 50 Euro cents (or 3.33 Euros per hour). How often are price reviews? Now every 3 months (if needed). Previously more often in the early days of the pilot. Is each specific adjustment a data-driven depoliticized administrative matter? Yes. Use of revenue surplus? In SF, parking surpluses must go to public transport. This did not change for SFPark. Did parking time limits (if any) change? yes. time limits abolished? Applies to which parking? Initially several pilot areas for both on-street and city-owned off-street parking. Decided in December 2017 to extend it to all metered parking across the whole city. Reported impacts/results: This is probably the most-studied case with several different evaluations, such as the official one and this academic one (which also cites others). Comment: A famous case, with a precise and ambitious implementation of demand-responsive pricing. The current version is slightly modified compared with the initial pilot (for example, no longer relying on street-embedded sensors). Explicit use of an occupancy target range? yes. Time-of-day price variations? Yes, since 2016. 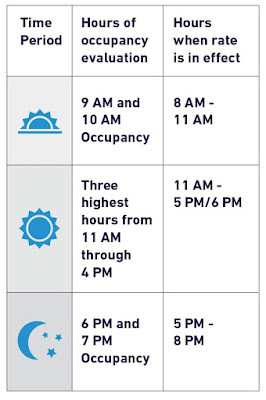 In areas with pricing until 8 pm, there are morning, afternoon, and evening rates. 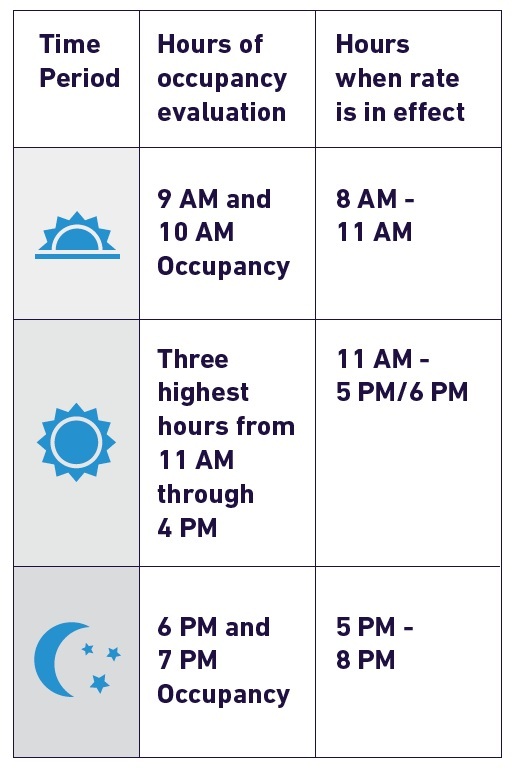 In areas with paid parking until 6 pm, there are morning and afternoon rates. Is each specific adjustment a data-driven depoliticized administrative matter? Yes. 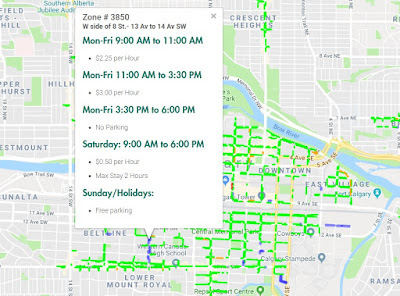 "Our parking performance goal, written in the City’s municipal code (SMC 11.16.121), is to use data to set rates such that one to two parking spaces are open and available per city block throughout the day." Applies to which parking? All 12,000 paid on-street parking spaces, with 30 price zones as of 2017. 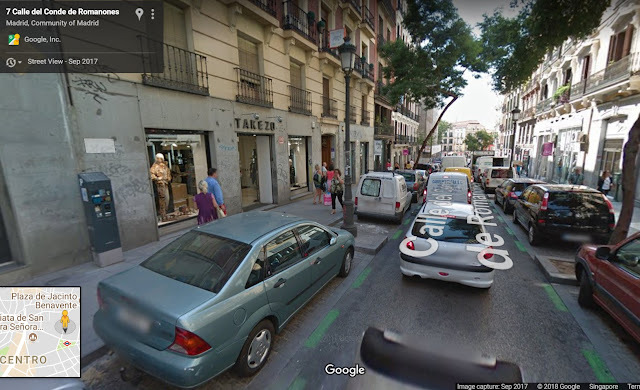 In addition, on-street parking occupancy is monitored in streets adjacent to priced areas, in case occupancy rates will justify pricing at some time in the future. Key Sources: Full information on Seattle's parking system is available on data.seattle.gov, including the Annual Paid Parking Study results, parking transactions, and paid space inventory. Current paid parking rates can be found here. The 2017 Annual Paid Parking Study is here (pdf). Applies to which parking? All 10,000 paid on-street parking spaces apparently. Reported impacts/results: Not yet, I think. Key Sources: More information on the decision and plans is here and here (pdf). Comment: According to the report linked above, Vancouver had long set its rates irregularly with a stated target of 85% occupancy in peak parking demand times. The 2016 changes made this more formalized, refined and routine and adds the possibility of different time-of-day rates. NOTE: An earlier version of this list had incomplete information on Vancouver, BC and had one incorrect link to a news item from Vancouver, WA, USA. Thanks to Jennifer Richards in the Shoupistas Facebook group for spotting the error. Is each specific adjustment a data-driven depoliticized administrative matter? Yes, apparently. Applies to which parking? On-street parking in Central Downtown Baltimore. Every block face is a price zone (like in San Francisco and LA). Key Sources: The main page explaining the approach is here. Comment: Rates can change by only 25c in each adjustment. Sensors are not being used. The six-monthly occupancy surveys are low tech. Walk to Save a Dollar! I like this map from Baltimore which highlights that you can usually save on parking by parking a little away from the high-demand blocks and walking a little (or roll or skip). Source. Explicit use of an occupancy target range? I think so but can't see it mentioned explicitly. How often are price reviews? Every three months. Time-of-day price variations? Yes. On weekdays, there are three periods: 7 am – 11 am, 11 am – 4 pm, and 4 pm – 10 pm. But on Saturdays the rates are the same all day. Use of revenue surplus? WMATA, the regional transit (public transport) system. I am not sure if this is new to the trial or if this also applies to other paid parking. Did parking time limits (if any) change? Yes. Some time limits have been extended. Applies to which parking? On-street parking in the Penn Quarter and Chinatown neighborhoods (all metered on-street parking spaces within the area bounded by H Street NW, 3rd Street NW, E Street NW and 11th Street NW). Every block face is a price zone (there are 93). Reported impacts/results: Not yet. This is a trial. If successful, it may be extended to other areas in the city. Key Sources: The main page describing the trial is here. An FAQ is here. Explicit use of an occupancy target range? Yes, for one of the areas in the pilot (Seaport) has an occupancy target approach. How often are price reviews? Every two months. Time-of-day price variations? Yes. The time periods are weekdays from 8 am to 12 pm, 12 - 5 pm, and 5 - 8 pm, and all day Saturday. Is each specific adjustment a data-driven depoliticized administrative matter? I think so, in Seaport area at least. Use of revenue surplus? The one-year report (see below) states "The City intends to use this revenue to fund road and sidewalk improvements in the Back Bay and Seaport. In addition, the City will use the funds for citywide improvements in road infrastructure, bus service, new protected bike lanes, city-owned bridges and other transportation enhancements that provide residents with more reliable and high-quality mobility options." Applies to which parking? Each block face is a price zone. Reported impacts/results: The report after one year of the pilot is here (pdf). The Seaport area saw a surprise slight increase in parking occupancy, despite repeated small price rises. However, there was also a large decrease in all kinds of illegal parking. Key Sources: The announcement of the pilot is here. Comment: Another area, Back Bay, has a simpler pilot in which there was simply an increase in meter price to $3.75 an hour during all meter hours along with stepped up enforcement of double parking, meter time limits, and illegal parking in commercial spaces to increase the availability of parking. Back Bay parking occupancy dropped substantially in 2017 compared with 2016. UPDATE: The Boston region's Massachusetts Bay Transportation Authority (MBTA) now uses demand-based price-setting for its park-and-ride lots, according to a recent article in the Boston Globe. Is each specific adjustment a data-driven depoliticized administrative matter? Use of revenue surplus? "Parking revenue collected by the City is used to fund active transport, public transport and streetscaping improvement projects." Did parking time limits (if any) change? Applies to which parking? Under the ParkInCentre pilot for Broadbeach: "Demand responsive pricing was introduced in Surf Parade and the Gold Coast Highway (parking prices are higher in peak demand periods and lower in off-peak periods)." Key Sources: The Gold Coast City Parking Plan 2015; Brief info on Broadbeach parking pricing is here. Comment: Other streets within the PICS pilot area in Broadbeach have other pricing or parking management approaches, as do the streets of the other PICS pilot area, Burleigh Heads. Berkeley's goBerkeley parking price zones. Is each specific adjustment a data-driven depoliticized administrative matter? Apparently yes. Did parking time limits (if any) change? Yes. Many were extended. Applies to which parking? Paid on-street parking in Downtown Berkeley, Telegraph/Southside and The Elmwood. Reported impacts/results: Results of the 3-year pilot are reported here. Key Sources: Detailed information on the goBerkeley program is here. Comment: The City of Berkeley in the San Francisco Bay area has itswhich price changes in medium-sized zones within the goBerkeley area are explicitly based on “demand-responsive” pricing. A three-year pilot has concluded and the program has been made permanent. Did parking time limits (if any) change? Yes, some extended. Applies to which parking? 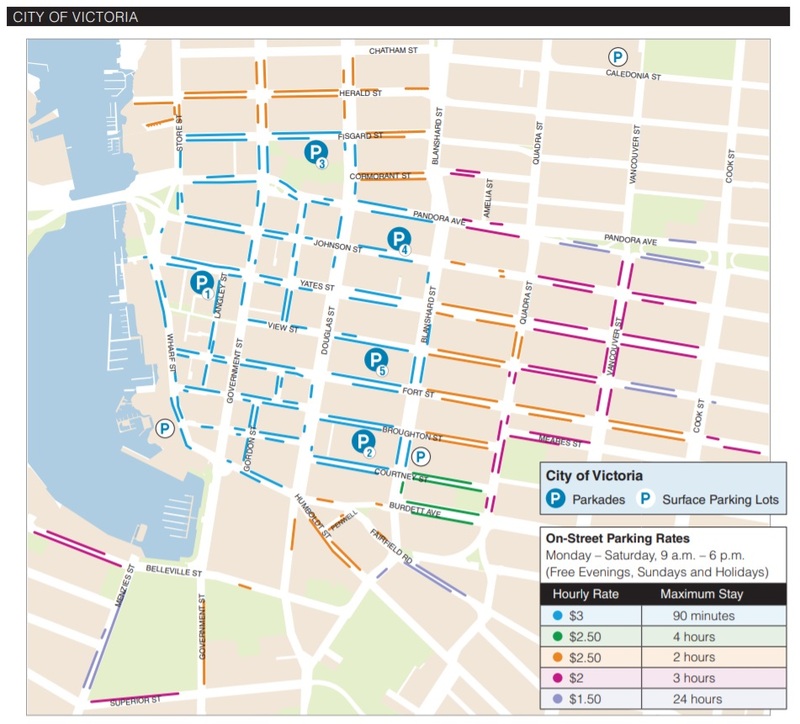 All 3,845 paid on-street parking spaces in Downtown Victoria. Key Sources: Some information is here. I am hoping for more details soon. Comment: Thanks to Ismo Husu for the tip. Redwood City (on the San Francisco peninsula, south of SF) began demand-responsive on-street pricing in 2005. 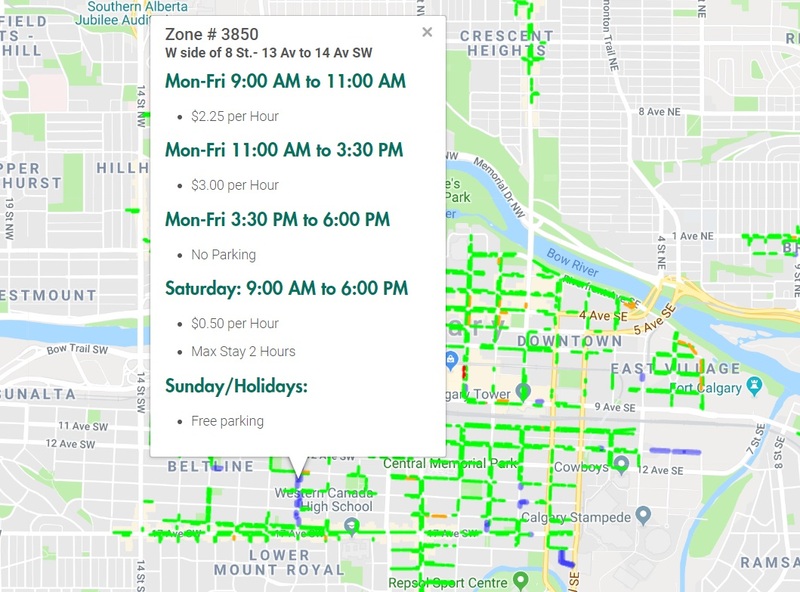 At least annually, prices for each parking area in the Downtown Meter Zone are adjusted in twenty-five cent intervals based on occupancy surveys and an 85% target. A 2013 review (pdf) recommended some refinements which will be of interest to other cities considering this approach (see section 4). Ventura downtown (in the Los Angeles region) implemented parking pricing in 2010, with prices and the boundaries of the priced zone influenced by an 85% occupancy target (see sidebar). A simple case of demand-responsive pricing apparently. However, I have not found more recent information on this program. Santa Rosa in California has approved a demand-based parking fee program with help from Nelson Nygaard. There is now a higher rate in central 'premium zones', lower rates in a 'value zone' and free-of-charge parking beyond that. Thanks to Cassius Jones at Smarking for the tip. Some of these may already have some form of demand-responsive parking price-setting but I can't find enough information. Others seem on the verge of trying it. Maybe you can help set me straight! This municipality (which covers little more than the CBD at the core of the Adelaide metropolitan area) is considering demand-based price setting (reportedly even with a real-time component). I am deleting Adelaide from this watch list for now. 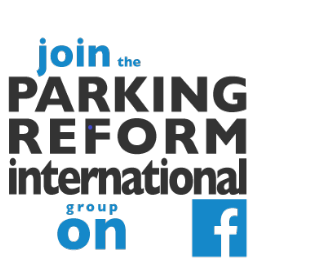 I hear from Alex Sims in the Parking Reform International facebook group that Adelaide is not as close to demand-based pricing as I had thought. I thought I read somewhere that demand is the main criterion for these zones and their prices. But I don't see mention of this in recent presentations by Amsterdam officials on their parking policy. Can anyone help confirm or correct this? Most of inner Amsterdam has priced on-street parking with prices varying from zone to zone. 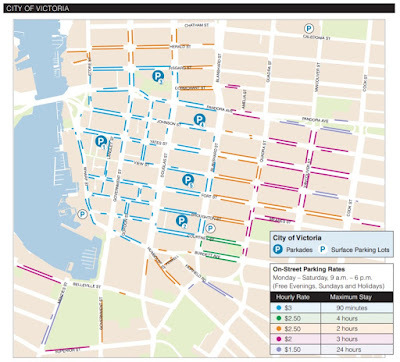 Here is a small section of their price zones map (pdf) accessed via the city's street parking website - which is in Dutch). This may be a case of low-precision demand-responsive parking pricing (meaning that the reviews are occasional and the zones middle-sized). Notice that some zones have the same price but different pricing hours. This small coastal city in New Jersey appears to have some form of demand-based parking price setting. William West wrote in a blog post: "Asbury Park has dynamic pricing. The system is not as sophisticated as the one in San Francisco, but the price at the meter does go up and down according to location, time of year, day of the week, and time of day." Aspen, Colorado, seems to be taking a series of incremental steps towards demand-based parking rate setting. As a tourism town, Aspen has seasonal variations in parking prices, based on demand. I wrote before about whether this city has demand-based parking prices. My answer was: "Budapest is not exactly Shoup-style demand-responsive pricing but its price zone adjustments may rely on occupancy data to some extent." In a comment in the Shoupistas Facebook group on 26 Nov 2017, Guillaume Rischard (from Luxembourg) said: "Copenhagen adjusts the price of parking so that 10% of the spots are free." But I have not been able to confirm. It looks like Huntington may be using a demand-based approach to parking rate setting. a proposed garage. After studying the sufficiency of on- and off-street capacities to meet parking demand, the town implemented a tiered pricing system——with first-time forgiveness——for on-street parking. Instead of a costly parking garage, the town invested in smart meters and shifted meter hours to create availability during the dinner-hour rush while providing free street parking during low-demand mornings." As of May 2018, New Haven is considering a pilot of demand-based parking fees. Pune's recently adopted parking policy includes the goal of setting on-street parking prices influenced by demand. This sets the scene for future demand-based price-setting. Tony Jordon of Portland Shoupistas tells me that Portland City Council will vote on 13 June on "a data driven approach to adjust meter rates annually. Observed occupancy in a parking zone of above 85% will trigger a rate increase, while occupancy below 65% will trigger a rate decrease. The rate adjustment will be ±$0.20-$0.60 depending on how congested (or vacant) the parking zone is." UPDATE: Unfortunately, there was no Portland vote on 13 June. I will update here if there are new developments. Salem looks like it may be using demand-based price setting. According to TransitCenter's All Transportation is Local: A fieldguide: "Using parking-utilization data, the City of Salem determined how and where parking demand varied throughout downtown Salem. The city created multiple districts with different rates to match demand. By offering multiple rates, the city incentivized filling more spaces in its previously empty garage and created more availability on-street. Additionally, during Salem’s high tourist season (October), parking rates are modified to accommodate additional visitors and raise revenue for the city." See also information from the City here. In 2009, I was told by Taipei officials that parking occupancy is the criterion for parking price adjustments for city-owned parking (both on-street and off-street). And prices do indeed vary from place to place across the city. However, the adjustments are then subject to local consultation processes and are often frozen. So Taipei seems to have a partial implementation of demand-based parking price-setting. A news report in March 2018 from this city in Washington (in the Portland, Oregon metro area) highlighted plans moving through the decision-making process. Walnut Creek already has location based pricing and varying time restrictions. According to Cassius Jones of Smarking, "in 2012, the City adopted a parking ordinance that established downtown parking meter zones, target occupancy rates (85%) and generally paved the way for a progressive demand based parking program." Demand-based pricing was reported in 2017 to be a potential next step. This municipality in Sydney's inner east includes Bondi Junction and Bondi Beach. It's parking meter rates vary depending on the time and location. Prices are set with a demand-responsive approach. But various factors are considered, not just an occupancy target. If you found this post useful, please share it.